Looking for things to do in Fayetteville NC? Come visit Zipquest today! You have an amazing staff. Your group is thriving and you are meeting your business goals. Sometimes, though, it can feel like you are all so busy chasing success that you hardly have time to get to know one another. You wish that there was more unity among your group. Here’s an idea! 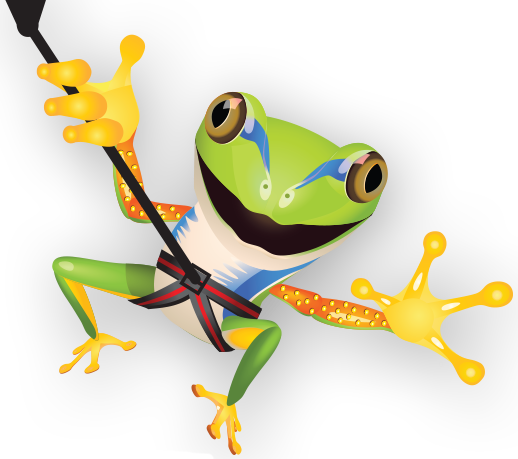 If you are looking for an exciting way to promote bonding among your employees or organization members with team building, look no further than TeamQuest: Build and Bond and ziplining adventures at ZipQuest! 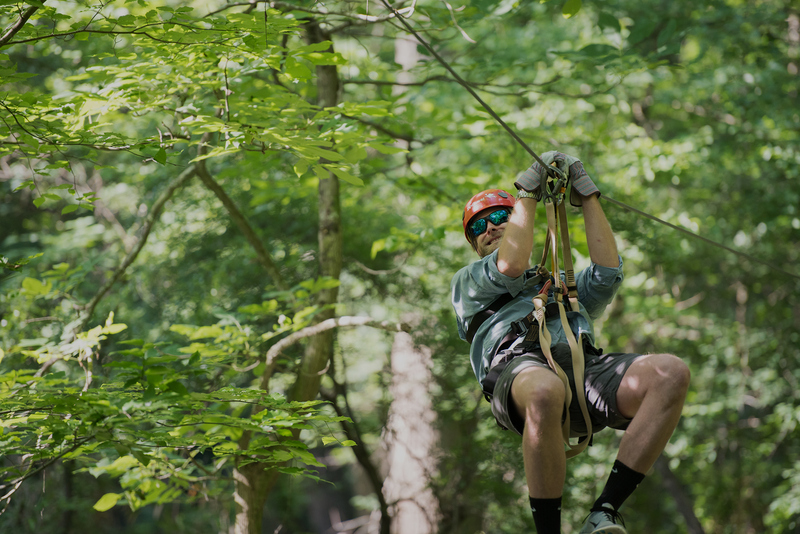 Located in Fayetteville, North Carolina, ZipQuest Waterfall & Treetop Adventure has been named one of USA Today’s 10 Great Ziplines. 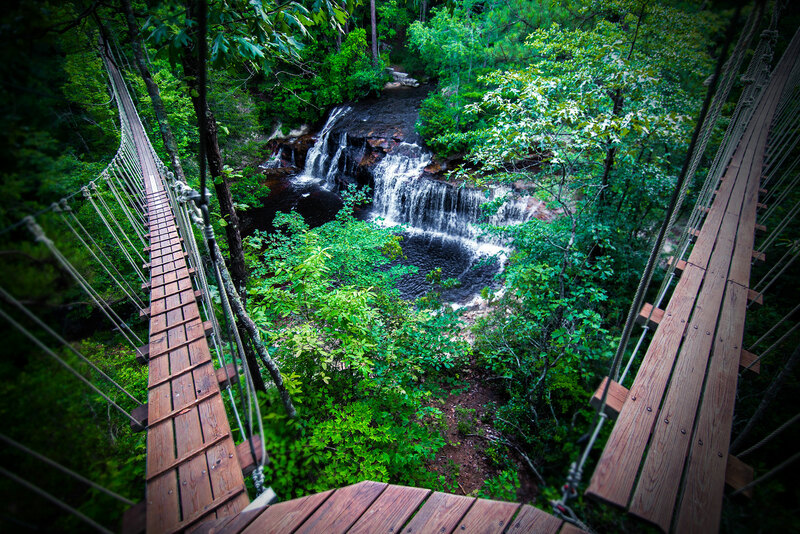 Zippers from all over the country take advantage each year of the beauty of Carver Falls and the surrounding area. Now, ZipQuest has created fun and exciting team building adventures for businesses, groups and organizations that want to cultivate bonds, improve group communication and so much more. 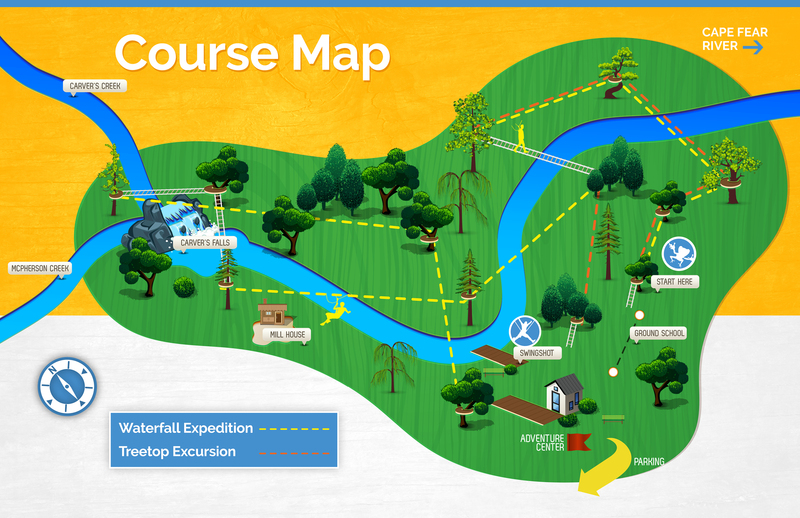 There are several team building options available through ZipQuest. 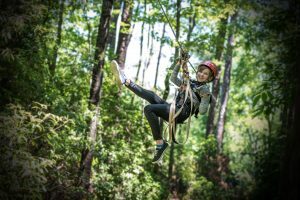 You can choose our TeamQuest: Build and Bond sessions that last from 1.5 hours to 6 hours long depending on your needs, our treetop ziplining adventures, and even a catered lunch for up to 40 people. 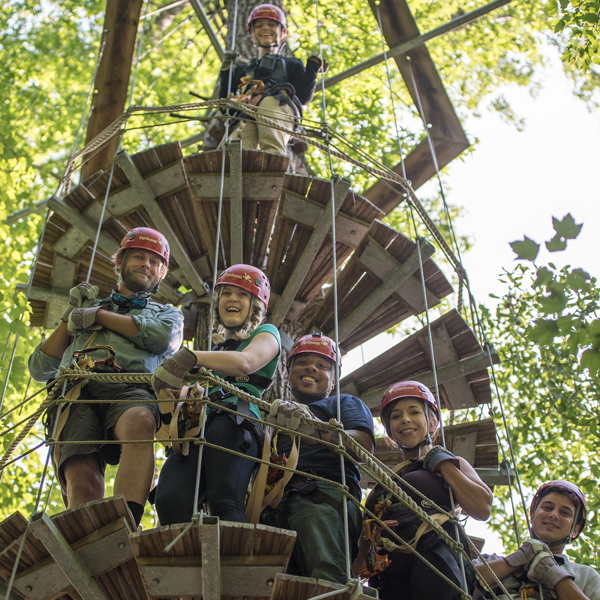 Your team building adventure will begin before you ever arrive at ZipQuest, when one of our trained leaders contacts your group leader to discuss the needs of your group and what you hope to achieve during your time with ZipQuest. There are many positives for choosing a team building adventure at ZipQuest, besides improved communication among staff and group leaders. Groups work together to strategize and improve critical thinking and analyzation skills. Team members get more comfortable with each other, and offer positive feedback to one another. Team building often increases self-confidence and self-awareness in individual members as they offer solutions and participate in challenges. Many who have participated in team building adventures at ZipQuest have said that they felt less stressed and more motivated afterwards. If you are planning a conference, retreat or just an out-of-office excursion for your team or group, look no further than ZipQuest! We guarantee this will be one team building experience you will never forget! Give us a call today at (910) 488-8787.